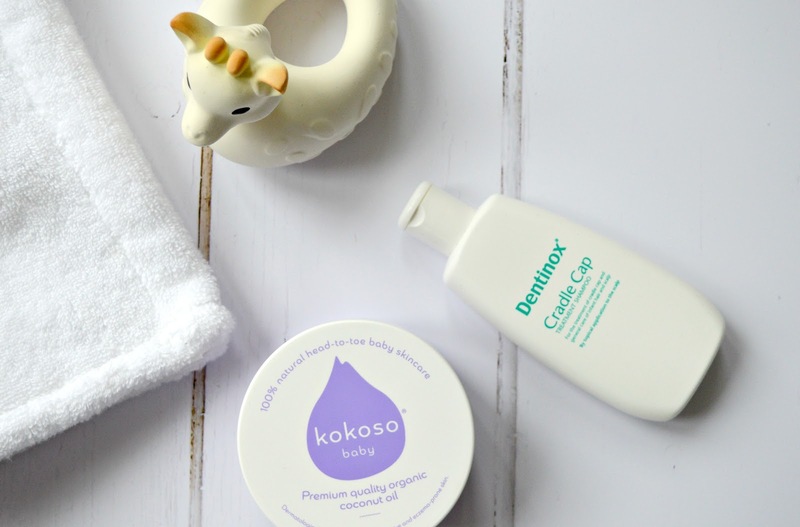 Now that Amelia is five months old, I thought I would start sharing some of our favourite newborn products with you - which you might find useful if you're currently expecting and on the lookout for products for your newborn. Since day one, Amelia has loved bathtime. She rarely cries (until it's time to get out!) 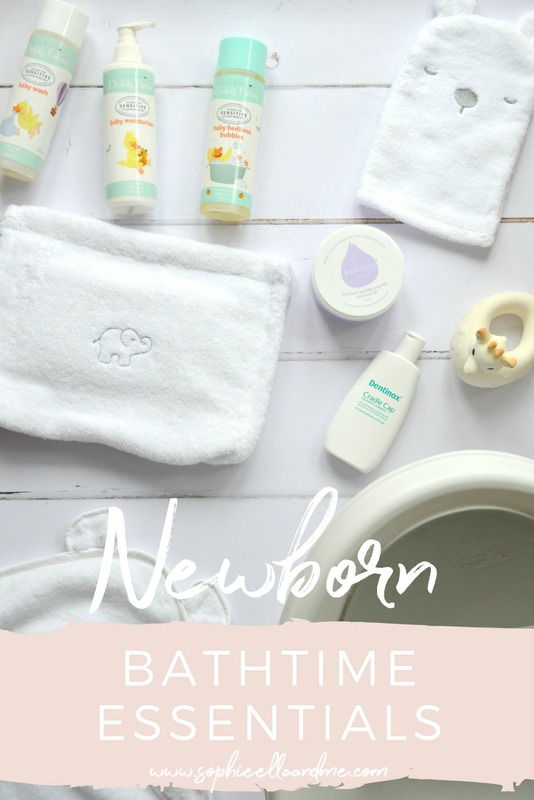 however we have used a number of different products this time around, that weren't around four years ago, which we have really enjoyed using and made bathtime that bit easier with a newborn. Firstly, we have loved using Child's Farm products. 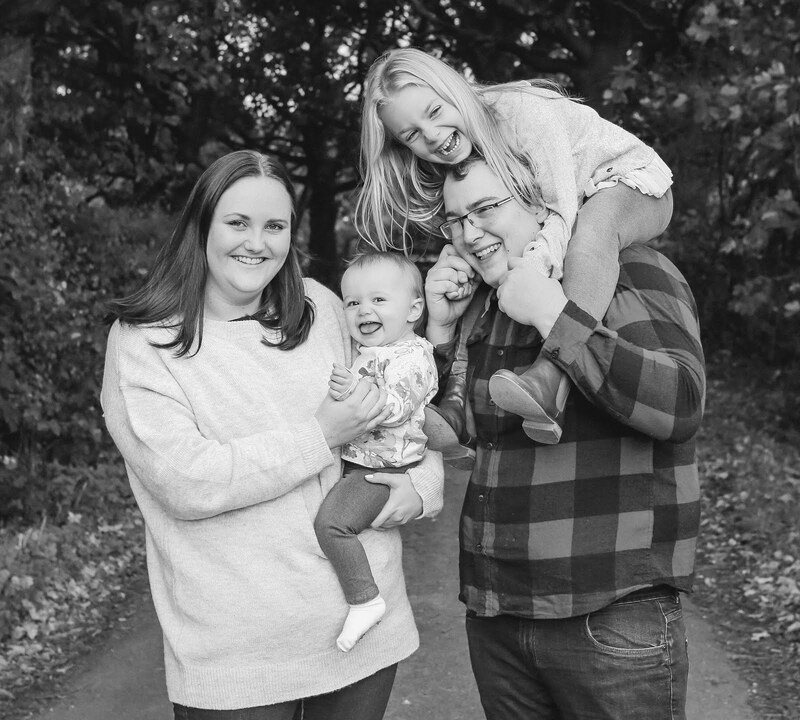 We also use them with our eldest daughter, Sophie, however I stocked up on the baby range when I was pregnant and I'm really impressed. It's really good for Amelia's delicate skin and it smells divine too! I have found the moisturiser great too - I've used it myself, as my hands get really dry as I'm constantly washing them! I've found hooded towels are so much easier with a baby, as you can wrap them up and keep them warm too. My favourite towels are the hydrocotton baby towels from The White Company, as they're so soft and fluffy - plus they have bear ears too, which is always a winner! 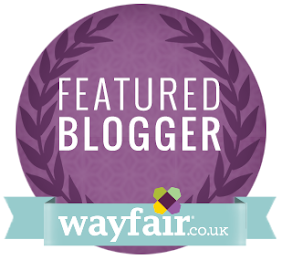 We also love the Cuddledry baby bath towel too, which I have written a separate review of here. We have also used this coconut oil on Amelia, which smells amazing and also helps with her dry skin. She loves a little massage with it after bath time and it makes her skin so soft! After using this cradle cap shampoo with Sophie, we already knew it worked really well at getting rid of cradle cap completely, so we didn't hesitate to repurchase it this time around. We found it was the only thing that cleared Amelia's too. This baby bath is what makes bathtime so much easier with a newborn and I'm so glad I purchased it. It is definitely one of my top baby buys. It has a 'bum bump' which supports baby in the bath and a foam backrest too, which makes it more comfortable. What are your baby bathtime essentials? I've heard so many good things about Child's Farm, and I think I'm going to have to invest for my newborn in the summer. We love child’s farm, it’s the only thing we used on P for this first year as he had sensitive skin. Hooded towels are a must too, fab post.